Next: Holiday Treat #7: Cannoli Cups! Previous: Holiday Treat #5: Italian Ricotta Cake Bars! You guys, Christmas is SO SOON!! Are you doing any Christmas cookie baking this year?! If so, you’ll want to add this to your baking list! I asked several people what their favorite Christmas cookie is, and the overwhelming majority of folks said it was these bad boys. And I mean, it makes sense..chocolate, peanut butter, together….it IS the best combination (IMHO). They’re DEF a fav in my family. Does anyone in your family love Reese’s?? This is like, the Reese’s equivalent cookie. Ya feel me? If you try this recipe, let me know!  Leave a comment & tag @thefetchingfoodie on Instagram! I’d love to see! Step 0: Before starting to make the cookies, I recommend putting the bags of Hershey’s kisses in the freezer so that they aren’t soft. When it’s the day you want to make the cookies, take the kisses out and unwrap them all ahead of time. Put back in the fridge until you’re ready for them. 1) Preheat your oven to 375 degrees F. Line baking sheets with parchment paper or silpat nonstick mats. Set ’em aside. 2) In a large bowl, whisk together the flour, baking soda, and salt. Set aside. 3) In another large bowl (with a stand mixer or hand mixer), beat together the butter, sugars, and peanut butter until fully combined and creamy. Add in the eggs, vanilla, and milk and mix well. 4) Slowly add in the flour mixture. If the dough gets too thick, switch to stirring with a wooden spoon by hand. 5) Roll the dough into about 1 inch balls. Roll the dough balls in granulated sugar and place them on the prepared baking sheets. 6) Bake for about 8-10 minutes, until they start to crack and look set. 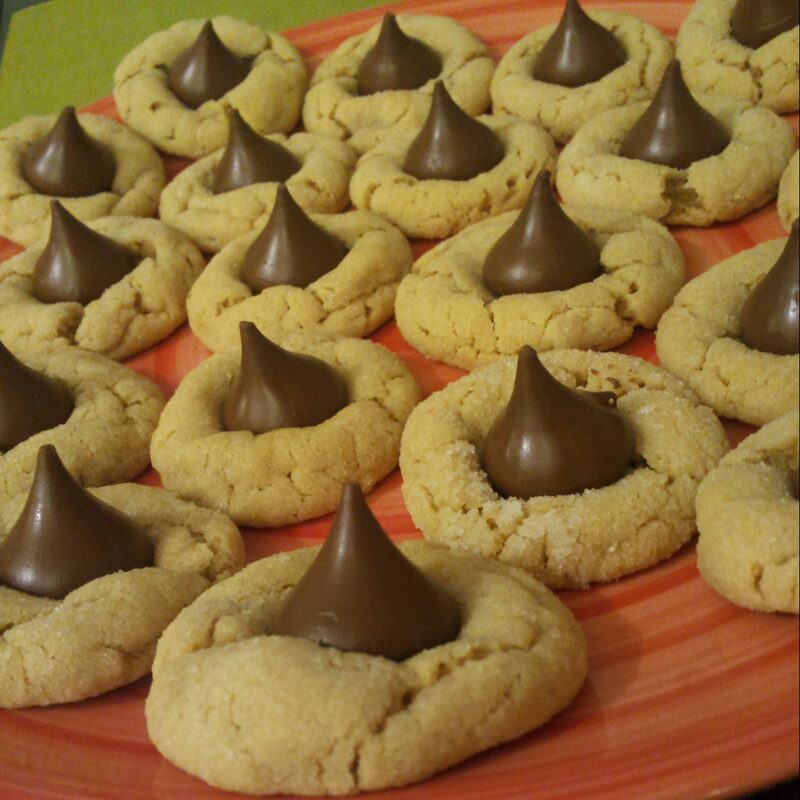 Remove from the oven and immediately press a Hershey’s kiss into the center of each cookie. Then cool the cookies on a baking rack until the cookies are cool and kisses are set. 7) EAT ONE WARM (or 2 or 3….)! Chocolate Peanut Butter gooey-ness –> YUM!! What’s your favorite Christmas Cookie? These, or something else? !